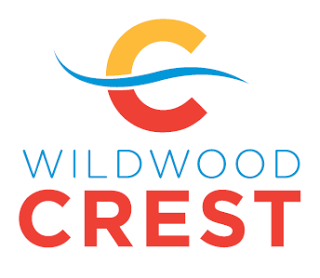 Wildwood Crest – The Borough of Wildwood Crest has proposed a $23.9 million budget for the 2018 fiscal year, representing a nearly $2.6 million decrease from 2017. The 2018 budget was introduced at the Feb. 21 regular meeting of the Wildwood Crest Board of Commissioners. A public hearing will be held on the proposed budget at the Wednesday, March 21, meeting of the Board of Commissioners scheduled for 5:30 p.m. at Wildwood Crest Borough Hall. The budget will be up for adoption following the public hearing. The municipal tax rate will rise from .661 cents per $100 of assessed value to .671 cents per $100 of assessed value, a tax rate increase of just one penny. The total tax rate is $1.254. Wildwood Crest homeowners with a house assessed at $435,000 will see an approximately $45 increase in the local tax rate in 2018. However, the borough was able to reduce the sewer rate for the third quarter for 2018 by .80 cents to help offset the increase in taxes. The third quarter variable sewer rate (three-month summer rate) is now $21.80. The rate for the same period in 2017 was $22.60. The new tax rate is expected to raise about $15.3 million for the borough, an increase of about $201,000 from 2017. The 2018 budget includes a projected total of approximately $54,000 in state and federal grants, compared to more than $1.6 million in 2017. A large grant from the Federal Emergency Management Agency (FEMA) was included in the 2017 budget. Monies from the FEMA grant have been encumbered to assist with the Sunset Lake shore stabilization project scheduled to begin later this year. The budget includes funding for major capital improvements, including the Sunset Lake shore stabilization project; improvements to various borough buildings, including borough hall, parks and other facilities; milling and paving of roads in disrepair; the purchase of vehicles for public works and public safety; and preliminary expenses for future capital projects. Capital improvement projects for 2018 will be funded without incurring additional debt to the borough. This is made possible through healthy surpluses created through stringent and responsible operational budgets for each borough department. Anticipated local revenues have remained relatively stable. The borough entered 2018 with a surplus of $7.9 million, an increase of approximately $150,000 from the beginning of 2017. Debt service for the borough remains stable, with total debt slightly more than $30 million as of Dec. 31, 2017. The borough was recently issued an excellent Aa3 rating by Moody’s Investor Service in its most recent report on the borough’s finances, which was issued in late December. For more information, contact the Borough of Wildwood Crest Finance Department at 609-729-8036.